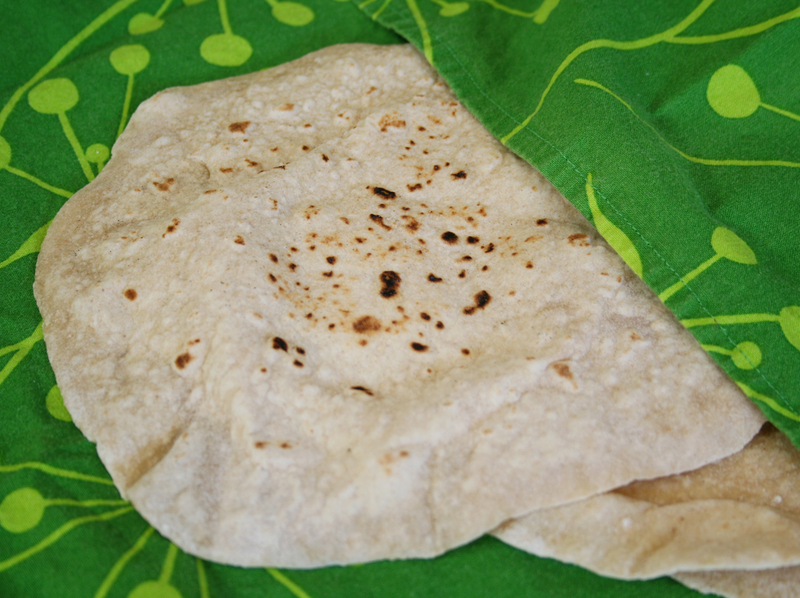 Fair warning: Once you try making tortillas from scratch, those store-bought ones will taste like cardboard. You'll never go back. Good thing these are so easy to make. This recipe was not taught to me by my abuelita, nor anyone else's abuelita, for that matter, and it makes no claim to authenticity. A fresh tortilla made with silky-soft white flour and lard is incomparably delicious ... but I can't bring myself to make it that way. 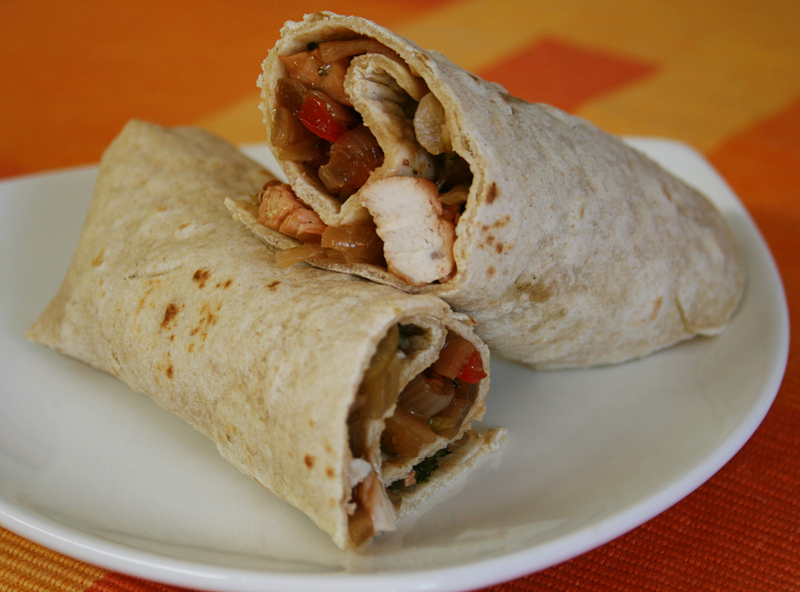 In this version, white whole-wheat flour and a small amount of oil make for a soft, flavorful tortilla with a little more nutritive value. I made it as healthfully as I could—pushing it any further, I found, ruins all the pillowy gorgeousness of a homemade tortilla. Once you've made these once or twice, you should be able to crank out a batch within 20 minutes. It's all hands-on work, which can be tough to manage with young ones underfoot. The best way to pull it off is to have them join in: Let them mix up the dough by hand, and watch and giggle as the tortillas puff up on the skillet. More hands = more fun. Enlist little ones to blend the dough. If you have more skilled help available, have one person roll out tortillas while the other mans the skillet. Preheat your skillet. Make sure it's hot before you throw your first tortilla on there. But not too hot—you want gentle browning, not smoky blackening. Keep 'em soft. When you take the tortillas off the heat, wrap them in a kitchen towel. To store for later, pack them in a zip-top bag or airtight container while they're still warm. Make extra. These are irresistible fresh off the skillet, but they store well. Make a larger batch and save some for easy snacks and lunches later in the week. Add flavor. Try incorporating pumpkin, tomato paste, spinach, or red peppers. 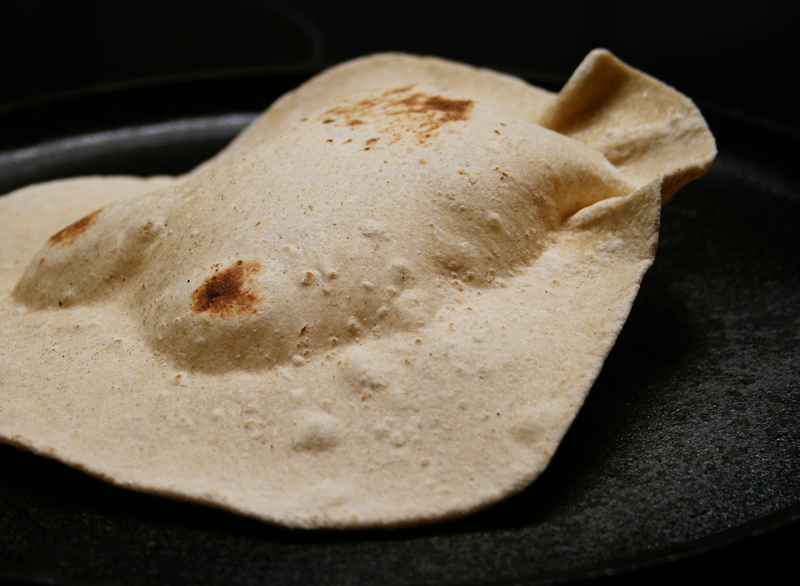 To see how to do it, check out this recipe for Pumpkin Tortillas. Leftover stir-fry wrapped in fresh tortillas—yum! This goes very light on the oil—if you wish, you can add a little more; I rub a few drops of olive oil on my hands when I knead the dough. Makes 8 to 10 tortillas. Stir together flour, baking powder, and salt with your fingers or a fork. Drizzle the oil over the dry ingredients and blend well. 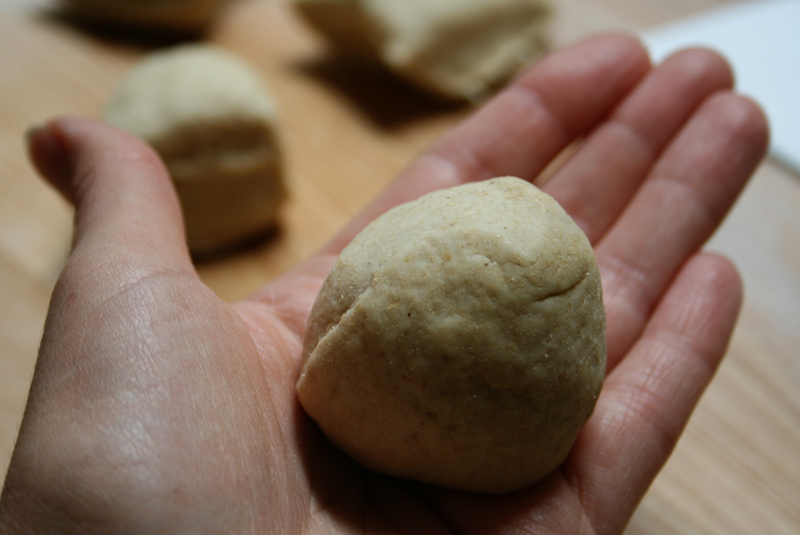 Add a spoonful or two of water, mix in, and repeat until the dough starts to come together in a shaggy ball. You might need a little more or a little less water. I love White Whole Wheat flour! We use it in everything. Isn't it great stuff? I've never really enjoyed wheat bread, and WWW flour helps greatly. I've been substituting it for at least half of AP in almost everything—I probably feel more virtuous about it than I should! Even chocolate chip cookies taste great with it. I just made a batch and they are really delicious! Mine weren't so flat as yours, but I think I need to make them thinner. They still worked well, though! I think I'll be making my own tortillas from now on. Thank you for the easy recipe! I'm so glad you enjoyed them — thanks for being brave enough to try them! Love your blog, by the way. We are trying to avoid sugary temptation for a bit here, but once we've earned a treat, I'll be making those Rolo brownies for my Rolo-loving husband. Wow, they look good.